Just when I thought that everything that could be said about the death of Princess Diana had been said, along comes The Queen. Diana’s death is only the catalyst for this smart, lively drama about Britain’s Queen Elizabeth II, Prime Minister Tony Blair, and how they handle the situation. The special features on the DVD release are sparse, but the movie stands on its own just fine. The special features on the DVD release are sparse, but the movie stands on its own just fine. The Queen captures a moment in time in the United Kingdom: the week following the death of the Princess of Wales. Though the movie isn’t intended to be completely historically accurate, screenwriter Peter Morgan did interview many people who were close to the prime minister and the royal family during that time. Morgan and director Stephen Frears skillfully set up a dichotomy between the elected and symbolic leaders of Britain. Queen Elizabeth is comfortable and confident in her sensible shoes and her immaculate homes. Anyone meeting her for the first time must be briefed on how to behave when they are in “the presence.” By contrast, Tony Blair is on a first-name basis with his staff. His home is decorated with his children’s artwork, not oil paintings. Though he can accept the monarchy, he has promised in his recent campaign to eliminate hereditary privilege. After Diana’s fatal auto accident in Paris, the queen sees no need to take any public action. Diana was no longer a member of the royal family, after all. She and the older members of her family make a valid point that there are protocols and traditions that have been in place for hundreds of years, and Diana’s death doesn’t fit in. While there was no love lost between the princess and her former in-laws, the British public had a great deal of love for her. Amidst a media frenzy, the queen’s popularity begins to drop precipitously because of her silence on the matter. It seems unfair to expect anyone to air their private grief, or lack thereof, in public. On the other hand, a monarch whose role is largely symbolic should probably understand better than anyone the power and importance of a simple gesture. Like it or not, Blair’s instincts regarding the mood of the public are right, and they may help the queen if he can only convince her. 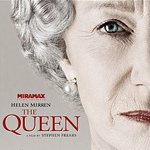 As the queen and prime minister, Helen Mirren and Michael Sheen make good foils for each other. If nothing else, their mutual exasperation with the situation helps them to understand each other better. They are boosted by a solid supporting cast, particularly James Cromwell as the irascible Prince Phillip. Diana, seen in old interviews and paparazzi video, remains an enigma. The media turned her life and death into high drama, but Frears and Morgan have spun the events into a much more interesting and nuanced story. The DVD has two commentary tracks and a making-of documentary. The first commentary track with Frears and Morgan is mostly boring. They offer a few interesting nuggets about the making of the movie, but you’ll have to sit through plenty of long pauses and snarky remarks about costumes to hear them. The second commentary track, by Robert Lacey, is more interesting. Lacey has written several books about the royal family and was a consultant for the film. He explains the queen’s modern role a little, which is helpful for those of us who aren’t her subjects. He also discusses the historical accuracy of some parts of the movie. Unfortunately, his commentary is also full of pauses, and too often, he simply narrates what is happening onscreen. A 20-minute making-of documentary sheds a little light on the production of the movie. The most interesting part is the first half, in which the actors talk about how to approach playing someone who is still alive. Both the sound and the widescreen picture are excellent. The DVD is enhanced for widescreen TVs. The movie stands on its own just fine. If you’d like to see the actors out of character, check out the making-of featurette. The commentary tracks are mostly skippable, but if your DVD player has a fast-play mode, you might give Lacey’s commentary a try.